Sarit has completed her PhD at QAEHS in 2014, with a focus on the development and calibration of passive sampler technologies for monitoring emerging pollutants in water. Sarit obtained a Bachelor of Science with First Class Honours in Applied Chemistry at RMIT University, Melbourne in 2009 and has been awarded with the Vice Chancellor List for academic excellence, RMIT 2008 and 2009. Since 2014, when Sarit was appointed a research fellow at QAEHS, her research interests have focused on developing novel sampling and analytical methods and approaches to detect trends, levels and fate of persistent and emerging organic environmental pollutants including developing novel methods for the rapid screening and identification of chemical hazards in drinking and environmental samples. Emerging pollutants include; perfluorinated and brominated chemicals, disinfection by-products, pharmaceuticals and personal care products, pesticides, herbicides and natural toxins. 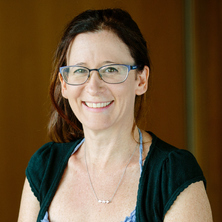 Sarit's research into monitoring of trace organic pollutants has included pioneering work on the first passive sampling monitoring techniques for perfluorinated chemicals (PFAS). Through this work, the first PFAS sampler has been calibrated for use in waste water treatment plants. This development is an example of a first important step towards a new generation of samplers that can substantially increase the type and complexity of pollutants that we can routinely detect in environmental waters. Glyphosate herbicide: is it as safe as we thought? Monitoring program for marker pharmaceutical and personal care product (PPCP) chemicals using passive sampling devices. Prepared for SA Water, South Australia.